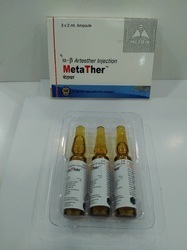 Our range of products include alpha beta arteether injection, lumet a tab. and metather injection. 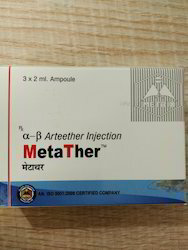 For the treatment and curing of several kinds of cough and cold related diseases, we have also brought forth to our valued clients these supreme quality and highly efficient Alpha Beta Arteether Injection .These Alpha Beta Arteether Injection Injectables are basically the pharmaceutical injectables which are used widely for the treatment of diseases related to cardiovascular and respiratory problems. Composition: α β arteether Injection.